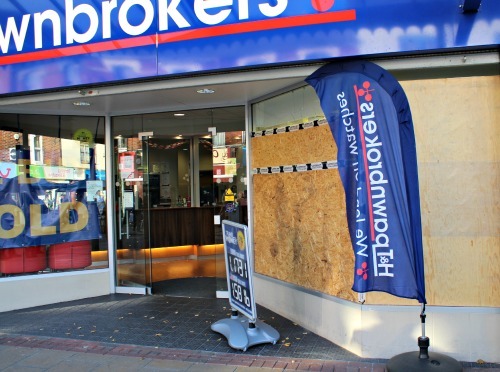 A pawnbrokers in Eastleigh has been targeted by would be burglars a year after sledge hammer wielding thieves performed a daylight motorbike smash ‘n’ grab. At around 10.30 am Wednesday, November 26, offenders tried to gain entry into the H&T Pawnbrokers on Market Street. They were unsuccessful and nothing was reported stolen but police want to talk to People who were in Eastleigh town centre on Wednesday morning and saw anything suspicious or a white Transit van parked on Wells Rd?